Welcome to the “Bridge of Hope Children’s Ministry” website. Thank you for taking time to read about our work in Uganda. 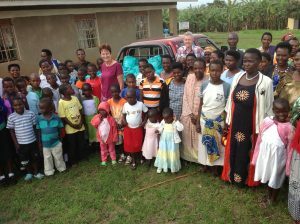 We are a Christian charity supporting orphaned and abandoned children in the district of Rukungiri, west Uganda. We are committed to social justice and providing care to the most vulnerable children regardless of religious or social background. However, every child will have the opportunity to learn about Jesus and to develop and grow in a loving community free from fear and exploitation. 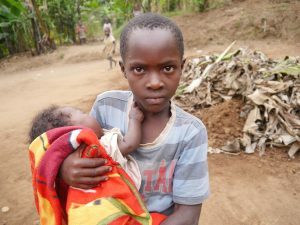 Currently we are supporting over 150 children in the community through our “Child Sponsorship Scheme”, many are orphans or abandoned children living with guardians or elderly grandparents who themselves live in extreme poverty. Bridge of Hope Children’s Ministry has also built two homes where totally homeless children can find love and security in a family environment. Each bungalow offers twelve children a permanent home with a dedicated House Mother. If you would like to be involved in supporting these children and receive regular updates on their progress please send an email to info@bohcm.org and we will send you details.